A Spark Neglected Burns the House was translated by Louise and Aylmer Maude. "Just think! The whole thing began about an egg. The children may have taken it—well, what matter? 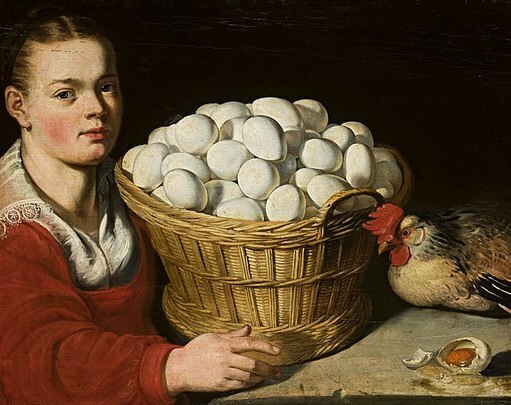 What's the value of one egg? God sends enough for all! And suppose your neighbour did say an unkind word—put it right; show her how to say a better one!" 'Then came Peter, and said to him, Lord, how oft shall my brother sin against me, and I forgive him? until seven times? Jesus saith unto him, I say not unto thee, Until seven times; but, Until seventy times seven. Therefore is the kingdom of heaven likened unto a certain king, which would make a reckoning with his servants. And when he had begun to reckon, one was brought unto him, which owed him ten thousand talents. But forasmuch as he had not wherewith to pay, his lord commanded him to be sold, and his wife, and children, and all that he had, and payment to be made. The servant therefore fell down and worshipped him, saying, Lord, have patience with me, and I will pay thee all. And the lord of that servant, being moved with compassion, released him, and forgave him the debt. But that servant went out, and found one of his fellow-servants, which owed him a hundred pence: and he laid hold on him, and took him by the throat saying, Pay what thou owest. So his fellow-servant fell down and besought him, saying, Have patience with me, and I will pay thee. And he would not: but went and cast him into prison, till he should pay that which was due. So when his fellow-servants saw what was done, they were exceeding sorry, and came and told unto their lord all that was done. Then his lord called him unto him, and saith to him, Thou wicked servant, I forgave thee all that debt, because thou besoughtest me: shouldest not thou also have had mercy on thy fellow-servant, even as I had mercy on thee? And his lord was wroth, and delivered him to the tormentors, till he should pay all that was due. So shall also my heavenly Father do unto you,if ye forgive not every one his brother from your hearts.'—Matt. xviii. 21-35. The old man was going to say more, but before he could do so the women came in, chattering like magpies. The news that Gabriel was sentenced to be flogged, and of his threat to set fire to the house, had already reached them. They had heard all about it and added to it something of their own, and had again had a row, in the pasture, with the women of Gabriel's household. They began telling how Gabriel's daughter-in-law threatened a fresh action: Gabriel had got the right side of the examining magistrate, who would now turn the whole affair upside down; and the schoolmaster was writing out another petition, to the Tsar himself this time, about Iván; and everything was in the petition—all about the coupling-pin and the kitchen-garden—so that half of Ivan's homestead would be theirs soon. Iván heard what they were saying, and his heart grew cold again, and he gave up the thought of making peace with Gabriel. There was a light inside; his daughter-in-law sat spinning, his wife was getting supper ready, his eldest son was making straps for bark shoes, his second sat near the table with a book, and Tarás was getting ready to go out to pasture the horses for the night. Everything in the hut would have been pleasant and bright, but for that plague—a bad neighbour! At Ivan's house they barely managed to save his old father; and the family escaped in what they had on; everything else, except the horses that had been driven out to pasture for the night, was lost; all the cattle, the fowls on their perches, the carts, ploughs, and harrows, the women's trunks with their clothes, and the grain in the granaries—all were burnt up! When Iván came to his father, there was only the Elder's wife in the hut, besides some little children on the top of the oven. All the rest were still at the fire. The old man, who was lying on a bench holding a wax candlein his hand, kept turning his eyes towards the door. When his son entered, he moved a little. The old woman went up to him and told him that his son had come. He asked to have him brought nearer. Iván came closer. ↑ A town in Bulgaria, the scene of fierce and prolonged fighting between the Turks and the Russians in the war of 1877. ↑ Wax candles are much used in the services of the Russian Church, and it is usual to place one in the hand of a dying man, especially when he receives unction. Add A Spark Neglected Burns the House to your own personal library.